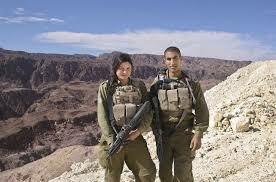 Today's Israelis protecting their homeland. Israel came about 2,000 years after Jews were forced to leave their land that had been theirs for over 3,000 years. They had experienced all these years of yearning to return because they had been treated so badly in host countries. They had been turned off by the results of formal emancipation in Central and Western Europe which never did put an end to anti-Semitism. They were tired of being discriminated against and putting up with social ostracism, such as the Dryfus case in France pointed out. They had suffered from oppression and pogroms in Eastern Europe along with suffering from extreme poverty because of it. They had to face the fact that Jews needed to follow a path of their own self-determination such as Greeks, Italians and Poles were then doing. Zionism was the national liberation movement of the Jewish people. Since the world had been anti-Semitic since at least 70 CE, they found they were alone in their cause. Since their inception 65 years ago, they have managed to hold onto their value system to have a real democratic state for all its citizens, something they never had experienced in the world they were flung into. Charles Kupchan, American professor, feels that Egypt was pushed into having a Democracy too fast and wasn't ready for it. He is a professor of international relations at Georgetown and a senior fellow at the Council on Foreign Relations. He wrote in the New York Times that American policy should push for Egypt to be governed responsibly – not necessarily democratically – and that rapid transition to self-governance was ill-advised. Their history and people are completely different from Israel. Egypt with its 91 million are about 90% Sunni Muslim and Islam is their state religion. Israel, on the other hand, named a Jewish state on May 14, 1948, made up of equal amounts of Ashkenazi and Sephardi Jews, as well as Muslims, Christians, Baha's and Druze, had a 2,000 year experience of being exposed to Western politics through the Ashkenazi exposure which includes Democratic values. How did Israel come to be Democratic? Look at their history and how it developed. Actually, it was Zionism who first introduced the idea of the perfect state. In 1897 Theodor Herzl (May 2, 1860-July 3, 1904) organized the first Zionist Congress and founded the world Zionist Organization which talked about creating a Jewish state. Zion is the synonym for Jerusalem and the land. He was a Hungarian reporter and an idealist-turned writer who had written "Der Judenstaat (The Jewish State) in 1895 and got it published in February 1896 and later the Utopian novel, "Altneuland (The Old New Land) in 1902. What he created in his mind was better than a Democracy. It was Utopia. This was the groundwork for Israel as he is looked upon as the founder of Israel. .
Saul, was the first king of Israel who lived in the 11th century BCE. He was the son of Kish of the tribe of Benjamin. It was the people who had begged to have a king like the other nations had, so the prophet Samuel selected Saul. He was a good choice who organized a trained army since they had been facing a military threat from the Philistines and Ammonites. Internally, he did away with witches that people still believed in which was against the Mosaic Law handed down from Moses (1391 BCE to 1271 BCE. . Evidently Saul and Samuel didn't get along, and Samuel had the power to appoint David as his successor. Saul had accomplished the groundwork for national unity which was effective in establishing a strong and independent Israelite monarchy. King David c 1000 BCE to 960 BCE of the tribe of Judah, was an armor-bearer of King Saul, Israel's first king,. This youngest son of Jesse, and grandson of Ruth and Boaz, born in Bethlehem, showed he had military prowess at the age of 25 when he fought against the Philistines. He happened to have settled in Hebron and declared himself king of Judah before Judah had even parted from Israel in the next generation. He had taken what was to be Jerusalem and made it his capital when king. The Psalms are said to be written by him. Still and all, this was a monarchy, something quite new for the Jewish people 3,000 years ago. David was sometimes known to rule by his passions, like with his love, Bathsheba. The Bible lists his virtues and his vices. Eventually he straightened out his conduct and became the Jewish religious symbol and a messianic hope has been attached to his descendants. His son, Solomon, (961 BCE to 920 BCE) became King and was known for his wisdom. He was able to build the Temple, a duty given to him but not to his father who was a warrior. Solomon was a peaceful king, He was friendly enough with Hiram of Tyre who sent him architects and builders to work on his Temple. The cedars used came from Lebanon, also. So I am assuming that there was peace and economic cooperation between the 2 countries. Solomon was relying on his father's achievements of political pacts. His empire reached from Egypt to the Euphrates River and was the most energetic in the entire region. They developed a culture including arts of historiography, parables, and elegant writings. Several biblical works such was Song of Songs, Ecclesiastes, and Psalm 72 were written by Solomon. He wasn't a modern 2013 ruler, though. He needed more laborers so introduced forced labor into his nation because he needed workers for his extensive building program and had impoverished the country. This was a bad move. Several groups of different people in the empire, the Edomites and Arameans began to revolt and even inside Israel were malcontented citizens. Therefore, when Solomon died, Israel faced the ceding of Judah and internal division. Jeroboam (933-912 BCE) led the revolt against Rehoboam of Judah and the last king of Israel, the northern kingdom, was Hoshea (730-721). Judah's kings in this southern kingdom were from Rehoboam (933-917 BCE) led to Zedekiah (597-586 BCE). Though many nations came through the land, none stayed long. Finally Jerusalem was done in by the Romans in 70 CE, and Jews have had to live in many lands facing hatred since then. One of the leading politicians during Israel's fight to survive till its birth was Abba Eban, born 1915 as Aubrey Solomon in Capetown, South Africa and educated in England. He worked in the political department of the Jewish Agency from 1946 and was a member of the Jewish Agency delegation to the UN in 1947-48. He represented Israel at the UN in 1948-1959. He was elected as a Mapai delegate to the Knesset in 1959 and was appointed minister without portfolio. Then he became minister of education and culture in 1960, Deputy Prime Minister from 1963 to 1966 and foreign minister from 1966 to 1974. He wrote "My People, a History of the Jews." Jews had settled in South Africa in the early 19th century so were among the first to emigrate to Israel. There was a large Jewish community in Johannesburg. They had enjoyed political equality in Cape Colony and Natal. Many Jews had immigrated there after WWI from Lithuania. (Lithuanians had emigrated to Safed in the 1500's and had built large Yeshivot there). Then restrictions were put on Jewish immigration during the 30's, though there were some German Jews who made it there after 1939, which was a miracle. When I made aliyah in 1980, I found many of the English speakers in Israel were South Africans. The English Department was headed by Jews from South Africa. They brought with them ideas of English Democracy. Today, Israel happens to be a parliamentary democracy. Supreme authority rests with the Knesset, an Assembly. This is a unicameral legislative body (single legislative chamber) of 120 members. The Knesset is elected for 4 years. The people may decide on new elections before the end of the term if need be. Electors choose between national lists of candidates, seats being allocated in proportion to the number of votes obtained by each list. The President of the State of Israel is elected by the Knesset for a period of 5 years. and may be re-elected for one more term. His duties are to prerogative of pardon and of commuting sentences. He accepts the accreditation of foreign ambassadors and ministers, appoints Israel's ambassadors and ministers, judges and the State comptroller. He signs all laws except those concerning the presidential powers. The Transition Law, 1949, describes the powers of the President. If a new Government is to be formed, the President consults with the representatives of the parties and then calls on a member of the Knesset to undertake the task. In June 1950, the Knesset decided not to enact a formal Constitution but to adopt basic laws which shall eventually be in a constitution. These laws written were passed in 1958, 1960, 1964 and 1968. There was a Basic Law of Human Right before the Knesset by 1973 and supplementary laws on the working of courts drafted then. Hertzl never became President or Prime Minister of Israel because he died early on, but he was the battery all charged up for its creation and had laid out the plans for its creation and development. Though Israel isn't following the exact precept of Hertzl's Utopia, they are adhering to its basic tenants which are complemented by democracy. All the leaders have been impressed by the United States of American Democratic values and history as well. I'm afraid that Hertzl was a little naive at the time, not knowing how Arabs would react to his ideas, though they were as lofty and worthy of calling his ideas the creation of a Paradise. Many children are given the task in their social studies classes of creating a Utopia on some outer space planet. We may all have lofty ideas, but it is when our plans do not gel and we have to live and altar our plans that taxes and brings out the best in us. Do we fling off moral values or somehow weave them into the plan? That is the task that Israel has been presented with, and though difficult, are facing reality and are doing their darndest to do their very best job. They are still striving to be the light for the nations.